The Indian rupee’s movement against the US dollar and the upcoming macro-economic data points are expected to chart the course of key domestic equity indices during the coming week. According to market observers, other factors such as the direction of foreign fund flows, derivatives expiry and the volatility in global crude oil prices will also impact investor sentiments. “Crude oil prices, along with the rupee’s movement and the direction of foreign funds are likely to dictate market trends,” SMC Investments and Advisors’ Chairman and Managing Director D.K. Aggarwal told IANS. Lately, a weakened Indian rupee has been a matter of concern for investors. However, a reversal in the rupee’s trajectory was seen last week as it strengthened by 25 paise to close at 69.91 against the US dollar. “The rupee is expected to be range-bound next week. In his speech at the Jackson Hole, US Fed Chairman has reiterated that the Fed will raise interest rates gradually,” said Rushabh Maru, Research Analyst with Anand Rathi Shares and Stock Brokers. Besides, crucial data points on the country’s fiscal deficit, Index of Eight Core Industries and the Quarterly GDP growth rate will be keenly watched by the market participants. Additionally, the direction of foreign fund flows will play a key role to determine market movement. Provisional figures from the stock exchanges showed that foreign institutional investors (FIIs) bought scrips worth Rs. 128.64 crore during the week ended August 24. On technical-charts, any further upsides in the National Stock Exchange (NSE) Nifty 50 are seen after the immediate resistance level of 11,621 points is crossed. “Technically, with the Nifty surging to new highs, its intermediate trend remains up,” said Deepak Jasani, Head of Retail Research for HDFC Securities. Last week, both the key Indian equity indices — S&P BSE Sensex and NSE Nifty 50 — rose for the fifth consecutive week and scaled new highs during the August 20-24 period despite global trade war tensions. On August 23, both key indices touched their respective intra-day all-time high levels, before settling at their record closing levels. 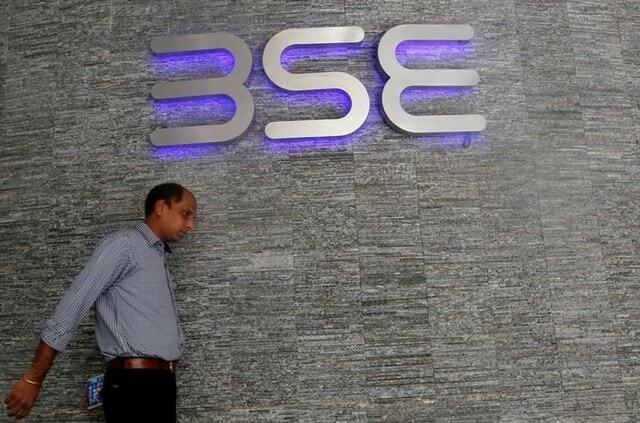 Consequently, the barometer 30-scrip Sensitive Index (Sensex) of the Bombay Stock Exchange (BSE) rose by 303.92 points or 0.80 per cent to close at 38,251.80 points on a weekly basis. Similarly, the wider Nifty50 on the NSE made gains. On Friday, it ended at 11,557.10 points, higher by 86.35 points or 0.75 per cent from the previous week’s close.